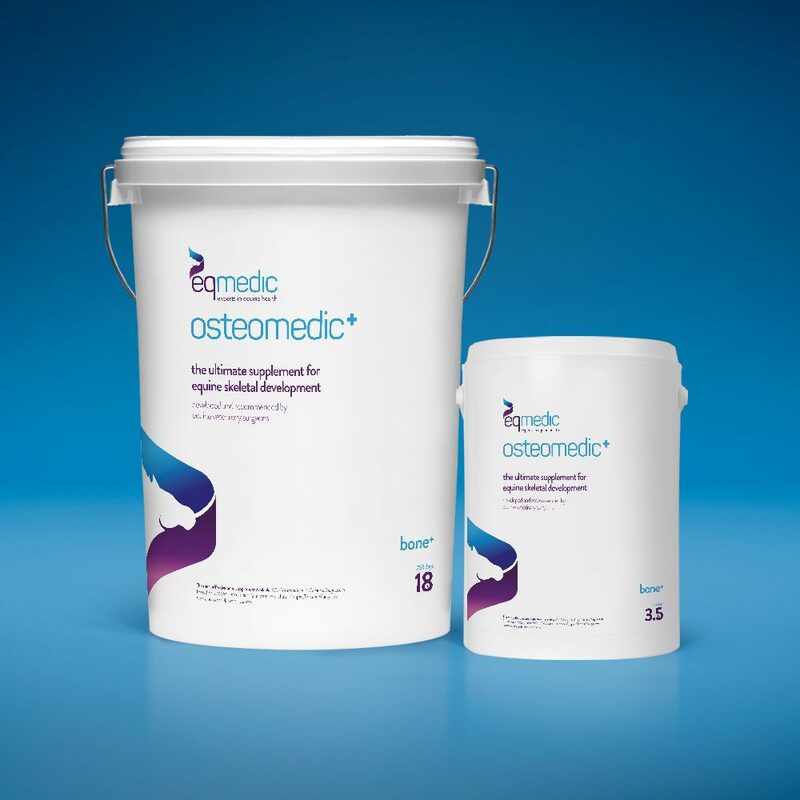 Osteomedic+ with its complex formulation of Vitamins K and D, Calcium, Magnesium, Phosphorus, MSM, Lithoamnion, Glucosamine sulphate, Copper, Zinc and Manganese is the ultimate supplement for equine skeletal development. The role Vitamin K plays in bone formation and density has been studied extensively and it has been shown that it has a substantial effect on OSTEOCALCIN which is the protein that binds the mineral and protein in bone together. Without sufficient Vitamin K this process is incomplete and low density or defective bone and cartilage are produced. 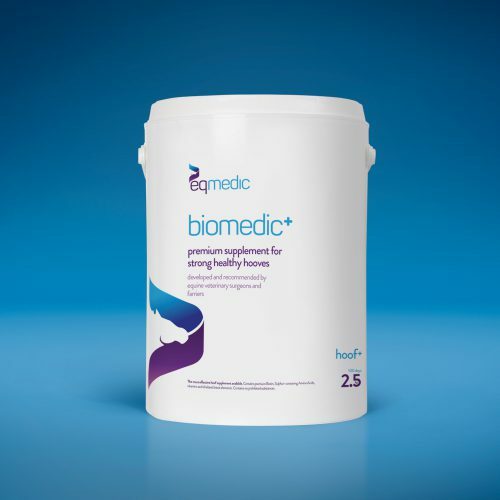 In horses, Vitamin K3 (menadione) as in OSTEOMEDIC has been shown to be the only vitamin K homolog that increases the plasma concentration of menaquinone-4, the most potent vitamin K for regulating bone metabolism. Vitamin K contributes to increasing bone mass and bone strength by stimulating bone formation and reducing bone resorption. Vitamin D3 participates in bone mineralisation, because of its role in regulating the phosphocalcic balance. Calcium, Phosphorus and Magnesium are essential minerals that contribute to optimal bone development. Calcium from marine origin as in OSTEOMEDIC is more bioavailable than calcium provided by limestone. Lithothamnion has been shown to increase bone mineralization and bone turnover after 112 days compared with a limestone control. 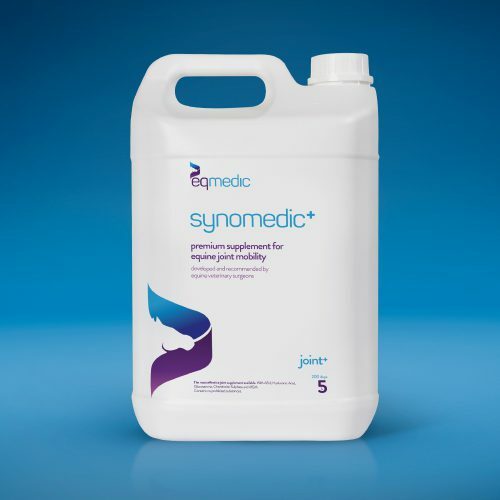 Zinc, Manganese and Copper in OSTEOMEDIC are in the most superior amino acid chelate form available on the market. These trace elements are associated with a number of enzymes which have an important role concerning bone and cartilage formation. Glucosamine is the precursor of many of the constituents of proteoglycans and of hyaluronic acid. In cartilage, hyaluronic acid is bound with proteoglycans and form aggregates which assure good hydration of this tissue. 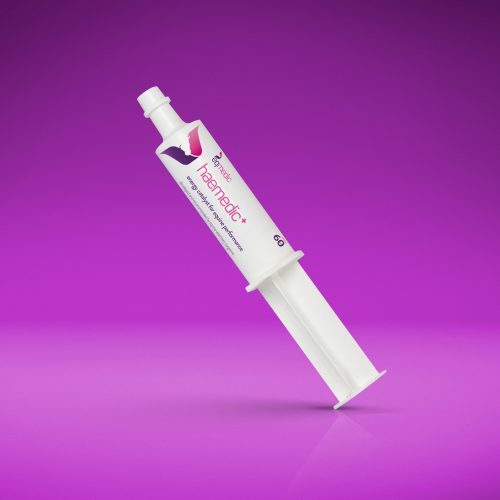 In the synovial fluid joints, hyaluronic acid has a role of lubricant and chondroprotective agent. 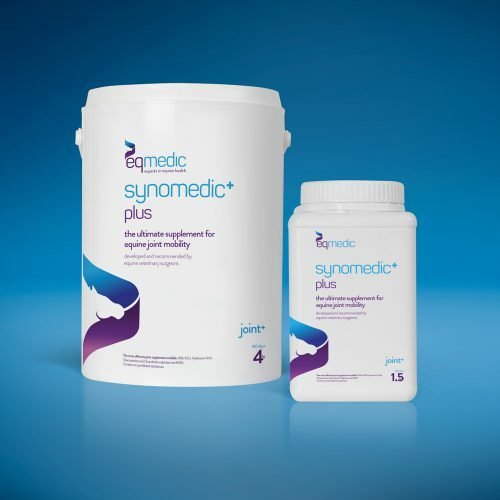 It has been shown that Glucosamine supplementation decreased inflammation while supporting the growth of new cartilage in response to a joint insult in young, growing horses when the glucosamine was administered for 84 days prior to said insult. MSM also possesses chondroprotective properties. It is also a source of organic sulphur indispensable to the synthesis of collagen, an abundant cartilage protein, giving it hydration, resistance, elasticity and suppleness.